Reserve your group a space for Friday & Saturday nights at The Rook. 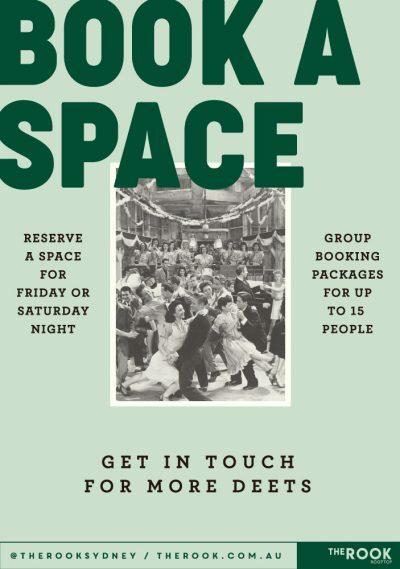 Our Book A Space package gets you a reserved area for groups up to 20 people. Enjoy a delicious antipasto platter worth $150 for 15-20pax with a $300 bar tab to get the night started! Call our team on 02 8322 2008 or book online.